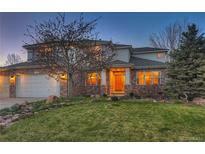 Find Erie, CO Homes for sale. View Photos, Maps and MLS Data Now! Don't miss out! Call today! MLS#9841921. Valor Real Estate, LLC. This home is your opportunity to embrace the laid-back Colorado lifestyle in a welcoming community, just minutes from I-25 and Hwy. 287 for quick commuting. MLS#2373183. Spaces Real Estate. You will love the endless miles of walking trails that carry you throughout the Vista Ridge Golf Course along with a multitude of neighborhood parks and open spaces. MLS#5697285. Redfin Corporation. No HOA, so you can come and go with your RV. Easy to view! MLS#5754387. RE/MAX of Boulder. Meadow Sweet Farm - This house has so many possibilities. MLS#5229647. Spiro Realty Group. Vista Ridge - Large trees provide privacy and shade while you relax on the large rear concrete patio, or sit on the front patio and enjoy the mountain sunset. Seller is a licensed broker. MLS#2818370. Retail Property Leasing Inc.. Pool, clubhouse, fitness area all included! ! MLS#9645382. FRONT RANGE REALTY LLC. Kenosha Farm is an ideal location centered between major commuting destinations and has many amenities including 7-acre park, trails and community garden. Schedule your showing today! MLS#7680047. The Group Inc - Centerra. Vista Ridge - Near trails and dining. All this & more!!! ! MLS#8652625. RE/MAX MOMENTUM. Canyon Creek - The neighborhood park is just steps away or walk to nearby Thomas Reservoir and surrounding park. This is home! https://www.703mcclurect.com/ MLS#7855741. Madison & Company Properties. With over $135,000 in upgrades, Garden Level Basement, Covered Patio, 8' Doors, Coffered Ceilings, Rounded Corners, High-End Cabinetry, Built in Entertainment Center, Custom Master Closet, Gourmet Kitchen with Built in Desk, and Main Floor Bedroom/Bath... this is an Erie home that has everything you've been looking for! MLS#7408601. Coldwell Banker Residential 14. Flatiron Meadows - IMMACULATE, move-in ready home is less than two years old & has been lightly lived in with no children or pets. MLS#2088286. RE/MAX MOMENTUM. $5,000 flooring credit, $5,000 paint credit. MLS#2865370. Coldwell Banker Residential 14. Unfinished basement is ready for your customization! MLS#2240488. WK Real Estate. Close to dining, shopping, entertainment and other amenities. Welcome Home! MLS#2832618. RE/MAX Masters Millennium. This golf course lot backs to the prestigious Colorado National Golf Club (formerly known as the Vista Ridge Golf Club) with all its natural beauty. MLS#4954177. USRealty.com, LLP. Each floor plan has been thoughtfully designed to incorporate energy efficiency & technology along with luxury - Comfortable elegance! Welcome Home! MLS#4326880. RE/MAX Masters Millennium. Each floor plan has been thoughtfully designed to incorporate energy efficiency & technology along with luxury - Comfortable elegance! Welcome Home! MLS#2195768. RE/MAX Masters Millennium. Unfinished basement-build to your taste.Brand new roof. Interior photos coming soon! MLS#2235736. LIV Sotheby's International Realty. Colliers Hill Daybreak - Walk to many neighborhood parks and enjoy miles of community trails in Colliers Hill. MLS#6039922. Redfin Corporation. You may not notice these: solar panels on the roof, the retractable roof over the patio (which needs a new roll of roofing material), new HVAC (fall 2018), and all windows replaced in past 2 years. MLS#4805648. RE/MAX ALLIANCE. Leisure Living - Public water supplied through Left Hand Water District, septic system lies on north side of house. Sold strictly as is! MLS#2620581. MB Eisenhard Realty Group. Truly a pleasure to see! Don't miss it! MLS#8049942. HomeSmart Cherry Creek Properties. Golf, trails and low landscaping maintenance. MLS#5710391. Live West Realty. This is the last new home available in Vista Ridge's golf course community! MLS#5862328. LANDMARK RESIDENTIAL BROKERAGE. These statistics are updated daily from the RE colorado. For further analysis or to obtain statistics not shown below please call Highgarden Real Estate at 720-580-6952 and speak with one of our real estate consultants.